The Ashcroft® NPA pressure switch is housed in a NEMA 7/9 explosion proof enclosure to satisfy challenging applications needing high cycle rates with switch functionality. This design incorporates proven thin film technology to trigger a high quality relay, making this an extremely reliable and long lasting switch. 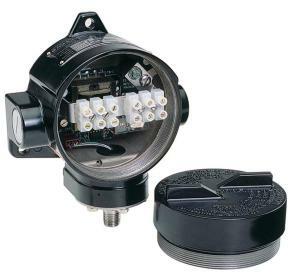 This switch is ideal for use with pressure control, shutdown or alarm operations.